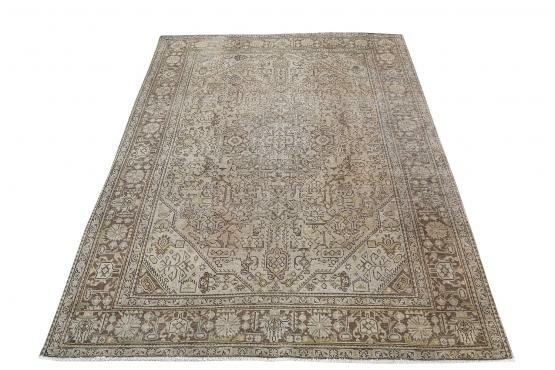 Fine hand knotted Persian rug. 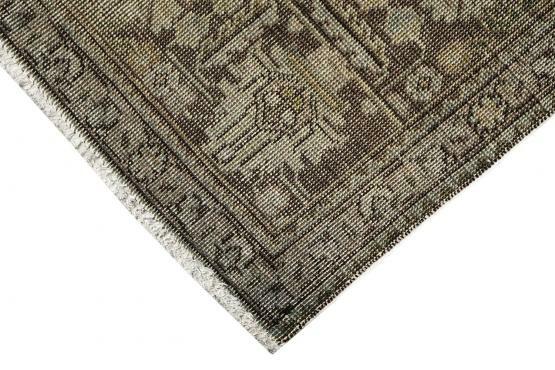 It's pile is evenly distressed, and the rug is in great condition. This is a vintage piece dating back to 1940's. 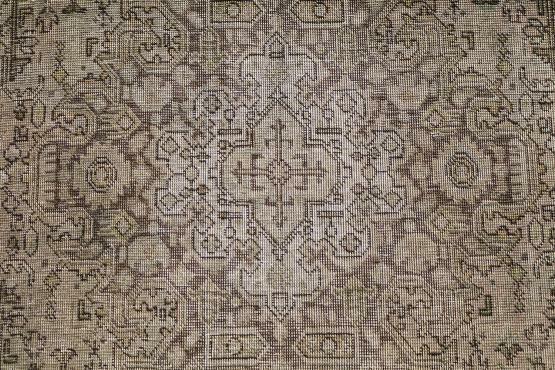 It's a desirable size and boasts neutral tones and pale rose warm colors making it a versatile and adaptive rug to many different style rooms.